Here some web goodies just in time for Easter. If you still need a little something for your little one's Easter basket or an activity to help keep them busy over the long weekend, these cute coloring pages from Vale Design will be a fun project. 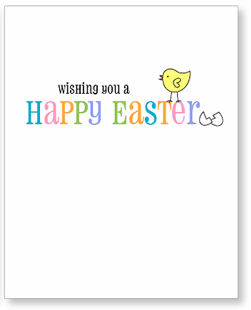 How about a fun new font to use on the Easter layouts you'll be creating soon? This font called 'Bunny' might be just the trick. No need to visit the store for last-minute cards...just print out these simply sweet cards from Living Locurto. 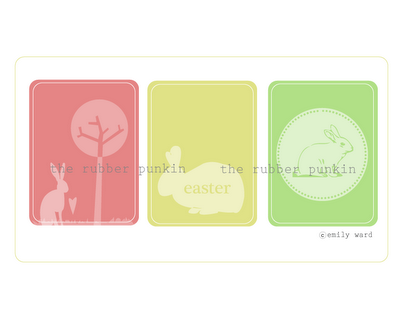 And finally, here are some wonderfully colored tags from The Rubber Punkin perfect for this spring holiday. Use on little gifts or on your layouts and other crafting projects. 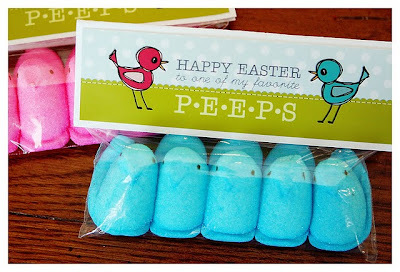 Have you come across any other fun Easter finds in your web travels? If so, please share a link with us!